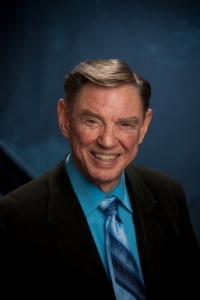 Dr. Hal Huggins passed away peacefully at his Colorado Springs home Saturday, November 29, 2014. He was 77. A memorial service will be held on Saturday, December 6, at 1:00pm, at the Center for Spiritual Living, 3685 Jeannine Drive, Colorado Springs, CO 80917. In lieu of flowers, donations may be sent to the Toxic Element Research Foundation (TERF), 5082 List Drive, Colorado Springs, CO 80919. I was introduced to Dr Hal Huggins in the 1980’s by my sister. I purchased his book, his service and his help in finding me a qualified dentist to remove my amalgams. I was so thankful that Dr Huggins was there. I got the amalgams out of my mouth successfully. His contribution to the Dental Industry is astounding. I watched the movement spread over the years where mercury in teeth was not the norm any more. It may still exist, but there’s a big change in thinking about mercury not being suitable in teeth today. I am sorry you have left this earth, but am so very thankful you passed away peacefully. Thank you for your service to humanity. You and your extensive knowledge will forever be remembered and missed. I would like to thank Hal Huggins for revealing the source of my constant pain and agony. He was and still is a magnificent man, ahead of his time. Does the family know of any school that follows Dr. Huggin’s protocol that would accept me as a case study/volunteer.? I am disabled from my dental problems but mainline dentistry has made me much worse. I am asking the family of this great man if they know of any resources that could help me have my root canals removed and perform a dental revision of my mouth. I would gladly let any Huggin’s students experiment or be the model that they practice on. I can never afford to have this work done so I am willing to go where they could do research on me and the deadly bacteria that are killing me very slowly and very painfully. Thank you for any help you can provide. I just finished reading “It’s All In Your Head” by Dr. Hal Huggins and did not know he had passed away. So very sorry to hear this. Wanting to find more info on holistic dentistry. If you haven’t already, do follow us on Facebook or Twitter! We post regularly there on all aspects of holistic and biological dentistry. You may also want to explore the resources area of our website for video, articles, links, and more that may be of interest to you. We update these pages regularly. Cured my rheumatoid arthritis, in Scranton Pa. dr Grube. I have an interesting story to tell if anyone is interested. Would love to hear about your experience! Thank you. I met Hal Huggins back in 2011…at my dentist office and spoke to him briefly….at that time I was doing more research on why the doctors couldn’t figure out why I had all the symptoms of lupus, MS and lime disease yet no one could give me an exact diagnosis because they could not agree on what it was. My last resort was to do more research myself and I decided to have all of my amalgam filling’s removed from my teeth and soon after that my symptoms that were so bad had subsided . Thank you Hal Huggins and the dentist that followed him to make a difference in peoples lives at the expense of losing almost everything themselves.